Does Kratom Have Any Risks of Liver Toxicity? Many fans of the alternative herbal remedy Kratom wonder, does this natural plant pose any risks of liver toxicity? No one wants to unintentionally damage their vital organs, especially as a result of taking remedies meant to improve overall health. As the body’s main tool for the cleansing of toxins, the liver is often the subject of health supplement-related fears. Kratom has no documented history of causing damage to any major organs or systems in the body. But let’s dispel any normal fears that have come up with a quick look at what the liver is and how kratom interacts with it. One of the most important vital organs in the body, the liver is responsible for detoxifying the blood, converting nutrients into useful forms, and managing all metabolism in the body. Blood that has recently been enriched with nutrients, or loaded with toxins, passes through the liver. Here, bile is excreted, which helps transform those elements into useful materials or waste. Kratom’s alkaloids, like all bioactive substances we consume, pass through the liver. They are not harmful to the cells of the liver, and taken in normal doses, will be processed, sorted, and expelled like any other compound. 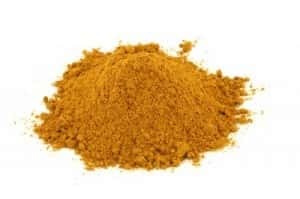 Taking larger amounts of any substance may put stress on the liver, and this is what most people are referring to when they speak of liver “toxicity.” But does kratom have any liver risks or toxicity? The answer is no. Absolutely no evidence has ever shown a connection between kratom and liver damage. The regenerative power of the liver: The great news about the liver is it’s one of the most resilient of all of our organs. It is able to regenerate and repair its own damage with remarkable speed. Some cases have shown entire lobes of the liver to completely regrow on their own after donation in as little as three weeks! What is cirrhosis? This is a condition found in extreme alcoholics, wherein scar tissue gradually replaces all of the cells of the over-burdened liver. As pertains to cirrhosis, does kratom have any risks of liver risks or toxicity? Absolutely not. There is zero evidence to suggest that kratom creates scar tissue in the liver, so cirrhosis is not possible, even from heavy kratom use. Intrahepatic choleostasis is a liver condition that results in the improper release of bile. This can create small symptoms like diahhrea or itching, as well as larger symptoms like organ failure. Drug and alcohol abuse can lead to this state. Is it possible for heavy use of kratom to lead to this type of malady? No, it is exceptionally rare. With countless millions of kratom users worldwide, there have been less than 2 cases of choleostasis ever documented in someone who had also used Kratom in excess amounts. In those cases, it is suspected that the liver damage was caused by a number of complicating factors like other drugs, lifestyle, and heredity – not from kratom. To put these numbers in perspective, you are several times more likely to be struck by lightning than to experience any form of choleostasis from kratom use. With any supplement – whether it grew from the ground or was produced in a lab, it’s important to calculate the correct dosage for you. If you take more than your body can handle in a given amount of time, the burden will fall upon your liver to take up the slack and work overtime to clean your blood and expel wastes and toxins. What’s the right dose of kratom to avoid burdening the liver? Luckily, it would be extremely difficult to consume a toxic amount of kratom and experience serious adverse effects. Most dosages that fall within general guidelines, and even those that are at the very far extreme of what most kratom users take, are still light years away from toxic levels or overdoses. At worst, by taking too much you’ll temporarily stress out your body’s ability to process signals and wastes. This includes the liver, but within a short time all systems do return to balance naturally and Kratom is not considered dangerous. If you are unsure of a proper dose for a given strain, start on the low side – 1-3 grams. Note how you feel, and then possibly add a gram or two on your next session. This approach will result in great efficacy and a happy liver. In the end, it’s wise to consider Kratom liver toxicity risks even though they are very rare. You should always take an active role in the health of your own body, and find out the facts about how the supplements you take do or don’t affect your organs. But in this case, there is no reason to fear liver toxicity from kratom. 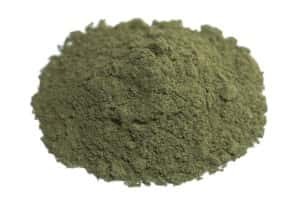 Used responsibly, kratom can be a safe and harmonious partner to all of the systems of your body, delivering health-enhancing effects that bring you into balance, inside and out.